1. The Rent Skipper. Often these tenants have moved multiple times due to nonpayment of rent; these tenants will have liens or judgments against them that would show up on a tenant background check. You will not have been the first landlord to encounter these bad tenants – nor the last. 2. The Thief. This tenant may have stolen property or materials from a previous rental. Air conditioning units, moldings, window treatments – even fixtures – have been known to go missing when a landlord rents to these tenants. A criminal background check with the county, state and federal authorities will help you avoid these tenants before you lose the shirt off your back. 3. The Destroyer. These tenants have a history of eviction that will become known during a tenant screening. Tenants who have destroyed the property of other landlords are easily avoided by use of an Eviction History report. Unfortunately, there are people out there you cannot afford to trust with (or in) your property. 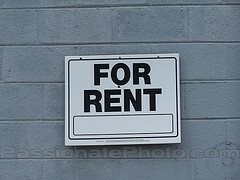 A good tenant background check will help you discern who they are before you get involved with them.